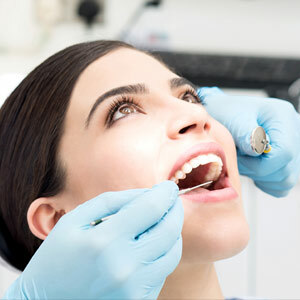 Dental cleanings are an important part of regular dental office visits. Performed by a dental hygienist or dentist, cleanings serve two purposes: to remove bacterial plaque and calculus (hardened deposits of plaque) from tooth surfaces missed during daily brushing and flossing; and to remove stains that can dull your smile. There are different degrees of cleaning, including root planing that removes plaque and calculus deep below the gum line, usually for patients affected by periodontal (gum) disease. For patients in good oral health, the basic cleaning approach is known as prophylaxis, a term derived from the Greek for guarding or preventing beforehand. The techniques used in a prophylaxis remove both “coronal” (tooth surfaces visible above the gum line) plaque and staining, providing both therapeutic and cosmetic benefits. A typical prophylaxis includes a procedure known as scaling. Hygienists use special instruments known as scalers to remove plaque and calculus by hand, or an ultrasonic device that vibrates plaque loose and is flushed away with water. The procedure removes that rough coating you often feel as you rub your tongue against your teeth, leaving the tooth surfaces feeling smooth. Tooth polishing is a subsequent procedure to scaling that also removes plaque and surface stains. Polishing is carried out with a motorized instrument with a rubber cup in which a polishing (or “prophy”) paste is contained. The hygienist moves the rapidly rotating cup filled with the paste over the tooth surface to remove plaque and stains. The end result is a highly smooth surface and a much shinier appearance. People with dental insurance plans are often concerned tooth polishing may be viewed strictly as a cosmetic procedure, and thus not fully qualify for benefits. This should not be the case if coded properly: tooth polishing is part of the overall prophylaxis to remove plaque and staining. The primary purpose is therapeutic and preventive; the cosmetic effect is a by-product. Most dental plans will cover one or two prophylaxes (scaling and tooth polishing) a year, but there are variations so individuals should check their plans.